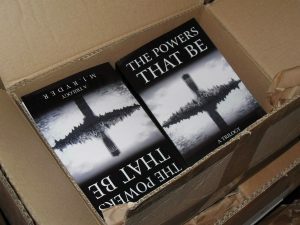 In 2010 I self-published The Powers That Be trilogy in a single volume [ISBN: 978-0956615800], which is now out of print. 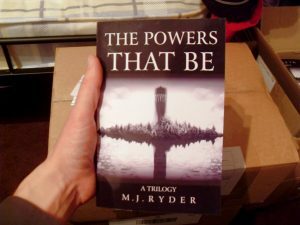 At the time, I wrote a series of blogs following my self-publishing adventures, and the various challenges I faced along the way (and there were certainly more than a few of those!) However, with the launch of my new website, I decided to take down these blogs as I am ever looking forward as a writer, and have since written a successor novel, The Darkest Hour, which is can now be purchased via Amazon. When a daring raid on a returning war hero’s fortune ends with his foster-father dead at the hands of an assassin, Callum must race for his life to escape the fell clutches of his pursuers. Armed only with a note telling him to seek out a man named Kulgrim in a nearby merchant town, Callum’s road takes him to the Magical Isle of Asturia, where he finds safety under the watchful eyes of the wizards. Years pass, and as Callum grows to adulthood, so the dark powers of the old world continue to plot. Just as he is beginning to settle to the idea of life on the ‘Isle, the mysterious disappearance of his tutor, and the enigmatic ransom note left in his tutor’s place leads Callum on a perilous journey to the uncharted forbidden lands of the south. 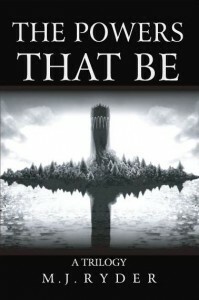 What starts out as a mission to save a friend in need soon turns into the quest of a lifetime as Callum and his friends discover that all is not as it seems, and even they are not safe from being caught up in the great prophecy of the age. Only through the strength of their friendship can Callum and his friends hope to defeat the dark forces that beset them on all sides, and save the realm of men from falling to total darkness.